Aerosmith’s 1975 classic, “Walk This Way”, is among 25 recordings inducted into the 2019 Grammy Hall Of Fame. The second single from the band’s third album, “Toys In The Attic”, reached No. 10 on the Billboard Hot 100, and earned a second life when Run–DMC were joined by Steven Tyler and Joe Perry for the hip-hop group’s 1986 cover, which hit No. 4 on the same US chart. Recordings by Tom Petty (1989’s “Full Moon Fever”), Jackson Browne (his self-tiled 1972 debut album), The Troggs (their 1966 cover of “Wild Thing”), and Link Wray & His Ray Men (their groundbreaking 1958 instrumental “Rumble”) also made the annual list, which features a diverse range of both singles and albums that are at least 25 years old and exhibit qualitative or historical significance. Each year recordings are reviewed by a special member committee comprised of eminent and knowledgeable professionals from all branches of the recording arts, with final approval by the Recording Academy's National Board of Trustees. With 25 new titles, the Hall, now in its 46th year, currently totals 1,088 recordings and is on display at GRAMMY Museum. "The Grammy Hall Of Fame is proud to be a pillar of musical excellence and diversity year after year, honoring some of the most iconic recordings of all time," says Recording Academy CEO/President Neil Portnow. "We are proud to acknowledge the ever-changing landscape and evolution of musical expression for which the Academy has become known. We're honored to add these masterpieces to our growing catalog and are delighted to celebrate the impact they’ve had on our musical, social, and cultural history." 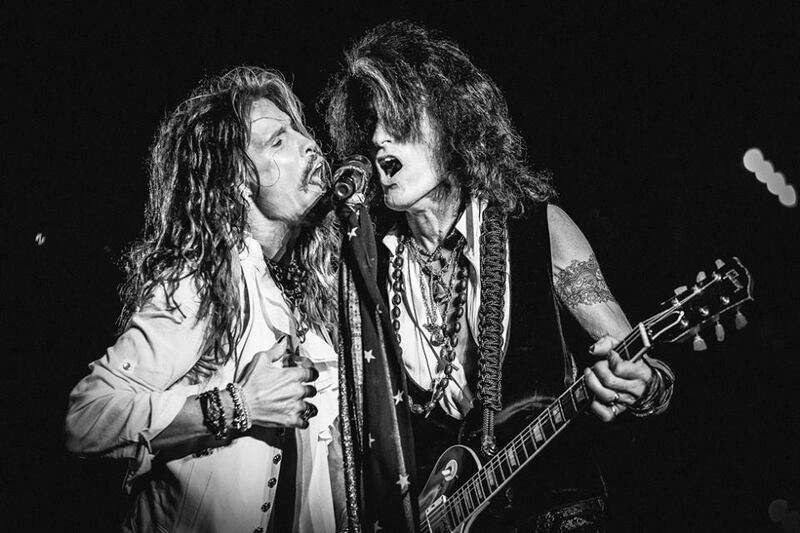 Aerosmith will next perform at the Super Bowl Music Fest in Atlanta, GA on February 1, followed by an appearance at Tyler’s second annual Grammy Awards Viewing Party to benefit Janie’s Fund at Raleigh Studios in Hollywood. The 61st Annual Grammy Awards will be broadcast live on Sunday, February 10 at 8 p.m. ET/5 p.m. PT on the CBS-TV network.